Fifteen years ago, China did not have much of a patent program. After all, with a centrally controlled economy and no private property, what good was a patent? Much of that has changed, at least the private property part. The Chinese government identified homegrown innovation and improving the ‘made in China’ brand as crucial to future success. 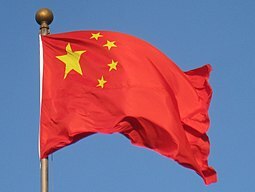 To that end China created a patent office with thousands of examiners and provided dedicated patent courts with a very high rate of patent owner success. Financial incentives to file patent applications have not hurt, either. The result is a land rush by Chinese companies and individuals to file Chinese patent applications. According to the World Intellectual Property Organization, China received 1.3 million patent applications in 2016. Chinese companies and individuals filed 90% of those applications. In the same year, the Chinese Patent Office issued over 400,000 patents and had a total of 1.8 million patents in force. That’s a lot of patents and patent applications. By way of comparison, in the same year the USPTO received 521,000 patent applications, with slightly less than half by U.S. companies and individuals. The USPTO allowed 300,000 patents in 2016 and had a total of 2.8 million patents in force. The above has at least two short-term implications for U.S. inventors and invention owners: a) China is becoming a viable patenting target for the well heeled, and b) patent searches will cost more because of the rapidly growing body of Chinese prior art to consider. The longer-term implication is that China is poised to advance into a world leadership position in the areas of technology and innovation even as the U.S. contracts patent protections and retreats from the technological dominance that it enjoyed for more than 50 years.